This meal is flavorful & simple to cook. 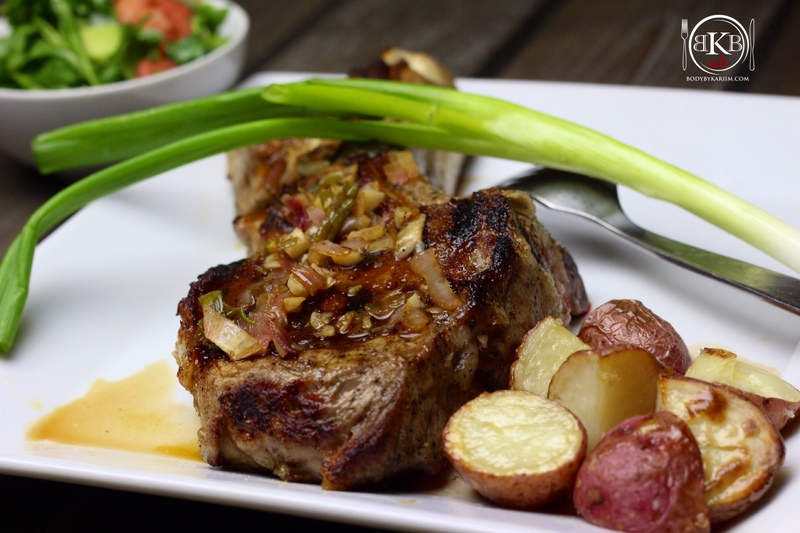 Serve the veal chop with the roasted red potatoes & grilled scallions- DELICIOUS!!! Place veal chops on cutting board. Massage into meat then sit aside for 20 minutes. Clean and slice potatoes to your liking and place in bowl. In the bowl add minced garlic, thyme, and sea salt Toss well. Turn grill pan medium-high heat and place the chops onto hot pan. Cook veal chops approximately 4-6 minutes on each side. 10. Once all is done to your liking. Plate & Enjoy!